Use of greases in connection protection seems to be a controversial topic. Some claim dielectric grease is conductive or abrasive, containing silica that increases wear. (It doesn't contain silica). The most frequent Internet complaint is that dielectric grease insulates connections, making connections less conductive. Some call pure silicone grease an "insulating grease". The general basis for this claim is in the word "dielectric" used in the name. The word dielectric is assumed to mean the connection will have future problems because "dielectrics" are insulators. Generally, authors predict greases with powdered metal (in slang "conductive greases") will improve or maintain connection quality over time while dielectric greases will isolate connections because "that is what dielectrics do". My first experience with silicone grease was in the 1960's as a lubricant in record turntables. It was also commonly used as a lubricant and protectant on turret-type television tuners, where channel coil packs or "strips" were mounted in a rotary turret. Rotating the turret moved different channel strips over stationary contacts to select each channel, and the clear silicon grease (which replaced a green or red petroleum grease) lubed the contacts and kept air off the plated surfaces. Later, RCA, Motorola, and Magnavox, facing field failures from bad electrical contact connections in new modular televisions recommended pure silicon grease as a contact protectant. They sent kits that included pure silicone to be directly applied to module contacts. This 100% pure silicone dielectric grease reduced connection issues between circuit modules, pins, and sockets. Hundreds of thousands of TV sets with hundreds of connections in each TV were living with silicone grease on signal and high voltage connections. Silicone grease also lubricated frequently-switched gold or silver plated contacts, and low voltage signal level module contacts. Silicone grease was also used directly on high voltage CRT anode connectors to prevent or reduce corona. My second experience was in the CATV industry. As a systems engineer, I was drawn into signal loss, radiation, and ingress problems in CATV/MATV systems. Problems centered around dry connections that corroded, and around aluminum trunk cable shield connections protected by Noalox, a grease people often call "conductive". All of these problems were eliminated by "non-conductive" silicone grease. The initial grease and sealer I brought into the systems was a white Teflon-silicone grease from a company in Elyria, Ohio. While that grease solved problems, it was expensive to apply to tens of thousands of fittings. It also was unsightly, service personal would leave white fingerprints everywhere. After consulting with several grease manufacturers, I switched to a GE 100% pure silicone dielectric grease in all CATV fittings. We used that grease without incident for many years in hundreds of thousands of connectors, completely flooding F connectors that were directly exposed to snow or rain. I continue to use silicone dielectric grease today. I use it as a lubricant on coaxial connector O-rings and threads. I use it to lube stainless bolts and nuts, to prevent galling. I use it for plug-in connections, in particular in my automotive hobby. I also use silicone dielectric grease for battery terminal connection preservation, coating it directly on the battery post. I use it in liberal amounts on ground connections, to inhibit corrosion on stainless-to-zinc (galvanized), lead-to-lead, stainless-to-copper, and stainless-to-aluminum electrical connections. I have never found a problem with silicone dielectric compound increasing resistance or increasing wear. We use it in new equipment production to lubricate and preserve contact plating in very low current meter switches. It has never caused shorts across insulation, I use it on spark plug HV boots on race engines and in high voltage connectors. I also use directly on contacts in my EFI system, including low voltage sensors. Petroleum grease (Vaseline) was recommended (and was apparently used) on low power antenna installations years ago. While people report using it without problems, I never use it in my installations. The primary shortfall of Vaseline is the very low melting point. Most brands or types liquefy at around 100 degrees F, just above human body temperature. While this may be a medical benefit when coating human skin, it is a serious problem with connector applications. Any heat will cause Vaseline to run and eventually dry out over time. A second petroleum jelly issue is Vaseline's release of flammable vapor, even at low temperatures. A cotton ball soaked in Vaseline will burn a very long time, and actually makes a good fire starter. Since connectors are often near insulation or other things that can act like wicks, petroleum jelly is not the best thing. This is especially true since grease migrates in warm temperatures. Internet forums thrive on myths. Forums often claim dielectric grease thermally insulates connections. Forums also claim dielectric grease electrically insulates connections, such as in connectors and on battery posts. Neither is true. Here is a test using a 35-watt dissipation resistor. The resistor is mounted to the heatsink with a stack of Belleville washers. These washers are conical spring washers. They maintain a constant pressure when partially collapsed. Proper Belleville washer implementation ensures compression or pressure against the heatsink is essentially the same between tests. The Belleville eliminats cap screw torque as a factor in results. Best result is at bottom. All greases were tested under "scuffed" conditions by roughing the heatsink with ~300 grit paper. Using too much dense grease, like thick heatsink compound, greatly increased thermal resistance. This occurred because compression pressure was not enough to force excess grease out of the area between the heatsink and the resistor tab. When the layer was thinned to a light "wipe" of grease, thermal resistance fell off significantly. There is essentially no difference between Permatex Dielectric Tune Up Grease and a special heatsink compound used on high-power transistors. Even Vaseline, at 1%, is better than bare metal-on-metal. In regular low voltage multiple-pin circuit connectors, such as automotive applications, flooding with a proper insulating grease of low-viscosity dielectric grease is perfectly acceptable unless a manufacturer recommends against it. The grease should have good stability and not contain metals in any form, and be specifically designed for use as a dielectric grease. This generally is a silicone dielectric grease, although some Teflon based greases are acceptable. In single low-voltage terminals or connections, such as metal-to-metal joints, grounds, or battery posts, almost any pure grease of light viscosity will be acceptable. Caution should be used with greases containing metallic powders to be sure any metal is compatible with the embedded grease metal. Connection enhancement from embedded metal powder is very minor, if it exists at all, and unless you match the grease to the connector material, risk of interaction with base metals might increase. In single high voltage connections, such as spark plug boots or other high voltage connectors (x-ray, neon sign, or HV power lines), only pure dielectric silicone greases should be used. Generally a light coating or wipe is all that is required. Dielectric grease will actually increase voltage breakdown across insulators, especially in the presence of moisture. Never use or allow a metalized grease around HV connections. The important physical characteristic is that any grease must have low enough viscosity to push out of the way at contact points, be water or liquid resistant, and be stable enough to remain in place as a protectant against moisture and air for a long time. It will not do any good to apply a grease that does not do required functions of excluding air and moisture, and lubricating the interface to prevent galling or fretting, for extended periods of time. Contrary toInternet rumors, advertisements, and articles low viscosity silicone dielectric grease will NOT insulate pressure connections. Silicone dielectric grease will prolong connection life as well as, and have just as good conduction performance, as a properly selected metallic powder grease (conductive grease). On the other hand, and improperly selected "conductive" grease can actually cause connection problems. Unless you are absolutely sure what you are doing is OK, do only what a switch or relay manufacturer suggests. There are some cases where very high current contacts can be lubricated, or should be lubricated, to prolong or extend life. There are many cases where lubricating contacts accelerates failure. As a general rule, low-viscosity greases can be directly applied to low-voltage contacts. Low-voltage generally would include consideration of opening or closing transient voltages, such as opening arcs from inductance back-pulse. Contact arcs have the ability to alter composition of greases. Silicone greases can be converted by arcs to silicone carbide, which is highly abrasive. For this reason, silicone grease should be avoided when contacts are "hot switched" and have any chance of arcing. Both dielectric grease and "conductive" greases (anti-seize) are insulators. The primary difference between dielectric greases and "conductive" greases is that "conductive" greases and anti-seize greases include some amount of finely-powdered metal. The finely powdered metal is suspended by insulating grease, so it does not conduct. The suspended metal powder does lower the voltage breakdown of any arc paths through the grease. Articles claim sparkplug threads are insulated by anti-seize, causing sparkplug or ignition fault indications. This is obviously wrong for several reasons, most predominantly because of voltages and currents involved. I suspect the real problem was anti-seize contaminated the plug insulator. Tests here show anti-seize and other metal-loaded "conductive greases" reduce high voltage breakdown voltages of air paths or surface path resistances of insulators significantly. Fingerprints on, or worse yet slathering of "conductive grease" on insulators or insulation, seriously degrades high voltage hold off. "Conductive" grease could trigger an ignition misfire warning code if a single fingerprint bridges the spark plug insulator. Other articles tell people to use conductive grease on connections, such as between battery terminals and an automotive battery. Tests show this claim is completely wishful thinking, and the type of grease has virtually no impact on terminal-to-post voltage drop. Again, we have a direct contradiction. 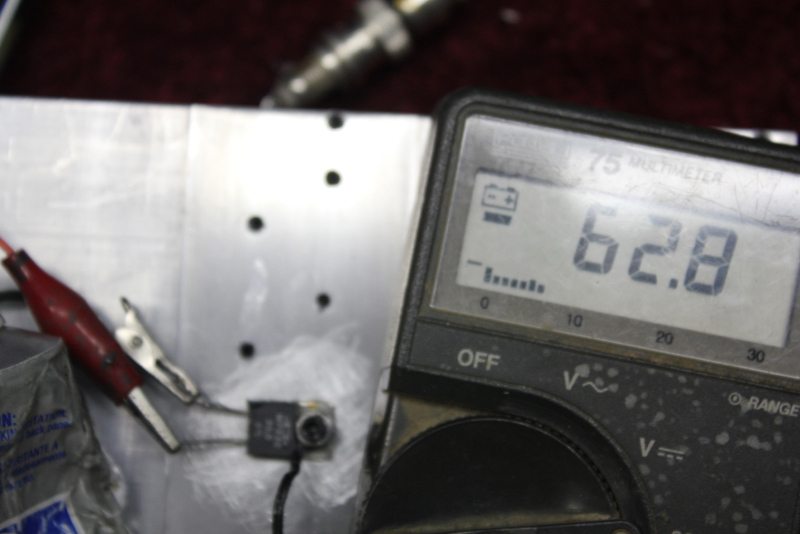 People reporting anti-seize insulates a spark plug from the cylinder head are calling people liars who report conductive grease enhances a battery terminal connection, or vice versa. Generally, when two groups provide exactly opposite claims, at least one notion or claim is wrong. In this case, both are wrong. Neither group appears to understand resistance, current, and voltage. All of these dielectric greases, and virtually all from other manufacturers, both improve insulation and preserve electrical connections. They do this by sealing contaminants, moisture, and air out of connections. They also seal insulators, keeping moisture and contaminants out of insulation. They are as effective at preserving connections as "conductive" grease, and will not harm insulation. Silicone Dielectric Grease (and lubricant) is a low viscosity grease. The normal temperature range is from around -40F up to +500F degrees. Silicone Dielectric Grease is far superior to petroleum jelly or Vaseline for preserving connections. One incorrect logic is the "dielectric" in "dielectric grease" means the grease should only be used to insulate. All greases work by the low viscosity allowing the grease to completely push out of areas with metal-to-metal contact. Dielectric grease is just better at holding off high voltages over long paths. Conductive greases and anti-seize compounds have a suspended base metal powder. The suspended metal powder is a fraction of the area occupied by insulating grease, and so the grease still insulates the connection. The grease does not conduct. The working theory of "conductive" grease is when pressure is applied, the grease squeezes out of the way. This leaves a fine metal powder that theoretically pierces oxides or fills voids. Using aluminum and copper blocks with various surface conditions, I've never been able to actually verify connection improvement from specialized conductive greases. In my tests, it appeared the grease simply carried most of the suspended powder away. Any remaining powder has never been enough to reliably reduce voltage drop across clamped connections. 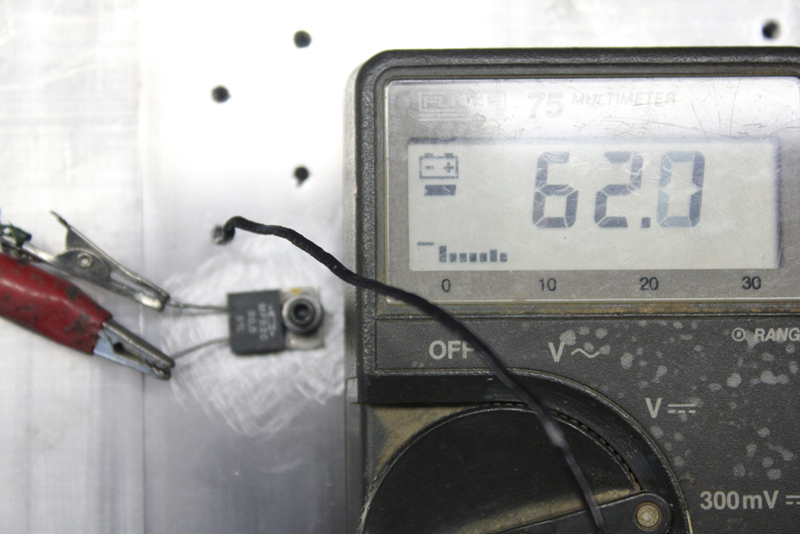 The change in voltage drop has always been indefinable, even with careful repeats of clamping pressure. I'd appreciate anyone having useful data sending me a copy. The suspended powder creates a problem that does not exist with dielectric grease. The suspended metal must be fully compatible with the metals being clamped. This means conductive grease is application specific. If the metals being clamped are incompatible with the grease's suspended metal powder, the connection will eventually fail. This is what happened in our CATV system connectors. The connections were a mix of copper, aluminum, and steel. The cable shields were aluminum, the trunk center conductors cables were copper clad aluminum. Drop cables were aluminum shields and connectors, with copper clad steel centers. 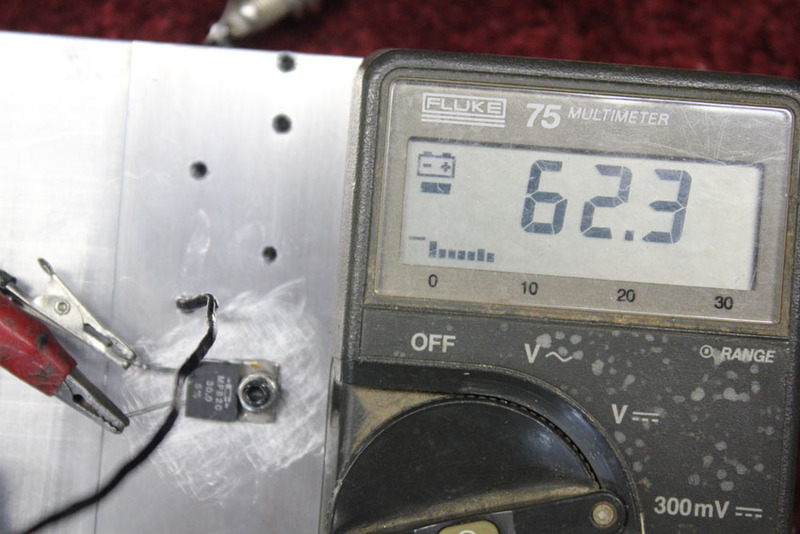 Our records showed a much higher incidence of corrosion failure using conductive grease. Corrosion failure rate dropped significantly, almost to zero, when we switched to pure dielectric grease. In bolted or clamped connections, I have no opinion if conductive greases help or are necessary. I feel like they help, but I'm not sure if that is true. I use Noalox on clamped aluminum slip joints in antennas because it is generally less expensive than silicone dielectric greases and it appears to last longer. I NEVER use conductive greases on push fit electrical connectors, or if I am unsure of metal to grease compatibility. Conductive greases should specifically match materials being clamped. Conductive greases should never be used in low pressure electrical connectors, or in connectors with multiple terminals. Conductive greases should only be used in connections that are well-isolated from connections with differing voltages, and never in high voltage connections. They never belong in RF or signal connectors, unless they are bolted connections and the material compatible grease does not bridge insulation.